After about 4 weeks of age, the baby calves are moved from the individual pens to larger group pens. Around this age they are strong enough to be on their own. They are usually pretty excited about moving in with friends. 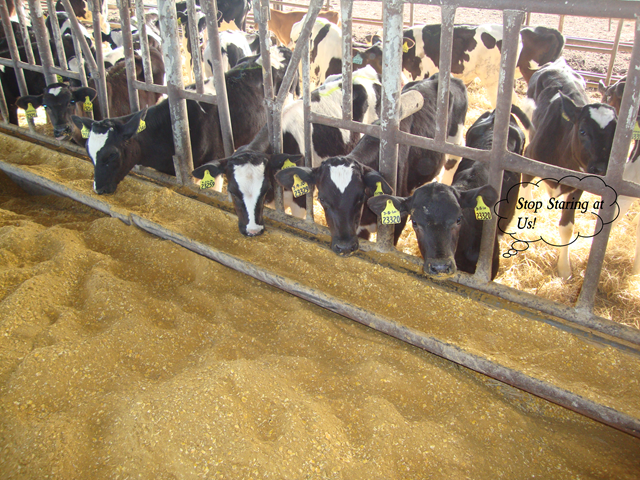 At this point, the calves are no longer allowed milk due to their changing digestive system. The stomach of the calf actually changes to where it cannot digest milk efficiently. I may write this later to explain what actually happens. 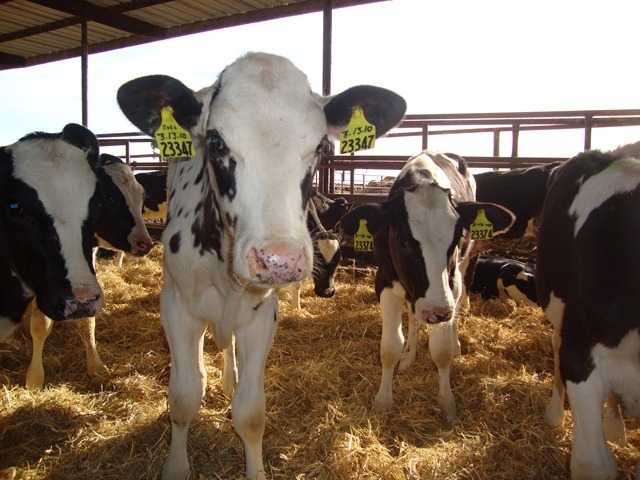 The digestive system of the calves transitions from a milk diet, to a forage based diet around this age. So the calves are no longer given milk (they sometimes disapprove of this very vocally), but they get to eat some high quality hay and grain instead. The calves at this point are basically expanding their horizons food wise. The reason the calves were in individual pens their first few weeks was to help them develop their immune systems so they can become strong enough to fight off disease. The pens help create a warm dry environment without the danger of spreading disease. But by 4 weeks of age, the calves have grown significantly, and are strong enough to be with a group of friends. We just moved the next group of calves the other day out of the calf pens and into the group pen. They were pretty happy, and were making a lot of noise. I captured this humorous video while i was out there!